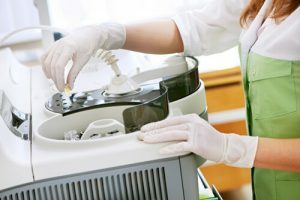 Top 10 DNA Tests - What Is A Paternity Test? Paternity testing is the most popular iteration of DNA relationship tests. It utilizes DNA profiling (or genetic fingerprinting) to determine the potential father-child relationship between two or more individuals. Paternity DNA testing has pushed aside older methods like ABO blood group typing or the usage of human leukocyte antigen and established itself as the most accurate paternity testing method of them all. Whether you need proof of parentage for legal purposes or just to satisfy your curiosity, our post can help you learn all about the procedure and how to find the best paternity DNA test for your specific needs. Paternity testing starts with sample collection. With direct-to-customer companies, you can perform this procedure from your home. You usually have to collect your buccal cells by performing a cheek swab. It’s an entirely painless procedure that is done in about 2 minutes. Some companies also allow you to send “discreet” DNA samples, including nail clippings, used razors, chewing gums, napkins, and blood stains. After that, your DNA sample is sent to the laboratory for further processing. Paternity DNA tests usually have very short turnaround times, so you may receive your results the very next day. This depends on the difficulty of the case, though. The mother’s DNA sample is not required for the procedure, but it can help speed it up since the child inherits half of the DNA from both parents. 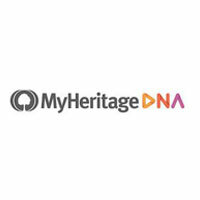 Note that these DNA tests can also be used to determine the likelihood of grandparentage. Regular paternity testing – This form of testing is designed to satisfy your personal curiosity and can’t be used as legal proof of paternity. Legal paternity testing – These tests require sample collection in a state-approved institution (hospital, medical clinic…). The sample must be accounted for at all times since a provable chain of custody is essential for this procedure. The final results can be used as legal proof of paternity in front of courts, immigration offices, and other state institutions. Invasive prenatal paternity testing – This procedure is used to determine parentage before the baby is born. It’s also called “chorionic villus sampling” or “amniocentesis.” During this type of testing, the physician retrieves placental tissue (chorionic villus) in either a transabdominal or transcervical manner. Since the procedure involves inserting a needle through the mother’s abdominal wall, it carries a small risk of miscarriage (hence the “invasive” part). Amniocentesis is a highly accurate form of paternity testing since the DNA sample comes from the fetus itself. 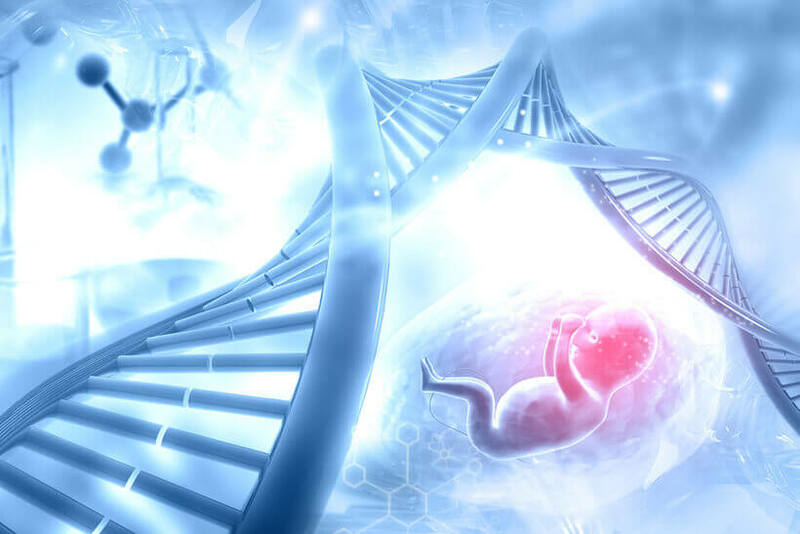 Non-invasive prenatal paternity testing – It is also possible to determine parentage through a non-invasive procedure. The mother’s blood contains small amounts of fetal DNA (cffDNA) during pregnancy. Therefore, it is possible to perform a prenatal paternity test with a simple blood draw without any invasive measures. CffDNA can be observed around 7 weeks into the pregnancy. At this point, only four American companies perform this procedure, including DDC.